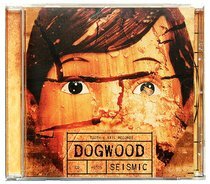 Punk-rock fury and biting lyrics form the foundation of the new CD from Dogwood. Fans of its predecessor, BUILDING A BETTER ME, will rejoice in a band that gets stronger with each new release. Standout tracks include 'What Matters ' and 'Selfish Americans '.